These videos below will teach you how to use inkscape to design a frame with the word "LOVE" welded into the frame. It will teach you the basic concepts of using Inkscape. Learn how to create the design below. Just click on the links below to start your tutorials. Okay. I just loaded my tutorial for Inkscape. It is just Part I of my tutorial. Yes, it has 32 pages but I documented every click you should make in doing this tutorial. I also added screen prints of every step you should take. A picture is worth a thousand words they say. Oh well, I am afraid you will feel over whelmed by it all. Please don't. You can do these steps in 5 minutes after you learn them. It really is that easy. In fact I created the entire strawberry layout in 15 minutes. I KNOW YOU CAN DO THIS! 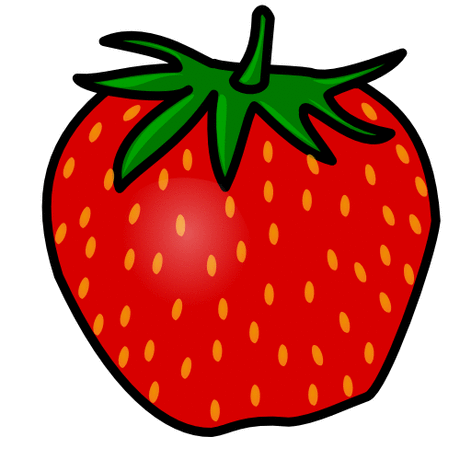 In my tutorial we will be using a strawberry I got from the public domain so before you begin my tutorial you will need to download this file to your desktop by clicking on the strawberry link below. Once you click on the link the image will pop up then click "file" then click "save as" and another window will pop up. At the top of the screen where it says "Save In" type in "desktop" then click the save button at the bottom of the screen. Your file will be saved as "Normal_strawberry_2.png right on your desktop. Now open Inkscape by clicking on the shortcut that looks like this on your desktop or in your program files. Now you are ready to begin my tutorial at this Point! Click on Robo Master and then click on "File" then click on "Load DXF".